Community worker Cathy Heying realized that cars are the lifeline for many people with financial struggles. She decided to dedicate herself to helping others get that lifeline back. Baby Aubree was born nearly three months early and was diagnosed with a rare chromosomal disorder. One of her therapists helped her mother record songs to play to Aubree when her parents are away. Much like addressing racism, covering a tattoo can be more complicated than getting the original. Julie Lindahl and Rachael Cerrotti of our previous two episodes meet, and a twist of fate changes everything for Rachael. Willow was going to turn 3 the day Hurricane Irma hit Florida, but both birthday and hurricane were about to be overshadowed. You must decide whether to do what you think is right -- but it means losing everything. What do you do? 10-year-old Phil's dreams were dark. It was supposed to be a standard procedure. Then something went very wrong. Jim Abbott was an improbable major league pitcher. On a November night, Ted Hakey felt uneasy about his neighbors. Bostonians aren’t always known for their friendly, helpful nature, but Blair Wong has discovered a very different side to the city’s inhabitants. People ask Mohamed if he's crazy. He says he wouldn't live any other way. When President Trump signed an executive order in January, one family feared their daughter's life was at stake. The story begins with an open wound. They didn't all know each other, but they knew their friend needed help. After a breakup left Laura in rough shape, Ruthy and Bill stepped up to pick her up. “The moment in the grocery store will just be something that I’ll always remember,” Suzie Skougard says. Michael Reagan turned his life upside down to draw portraits of service people who died in Iraq or Afghanistan. Four thousand portraits later, he finally understood why. The gift a father thought he didn’t want ended up being exactly what he needed. When Curtis Bishop was homeless, most people looked right past him. One stranger reached out in the middle of a food court and helped change his life. James Carlsen's guitar never left his side until he sold it to feed his heroin addiction. Joel Obermayer has recently come to see his father in a new light -- and learned that one of his father's projects helped grow a web of people around the world. 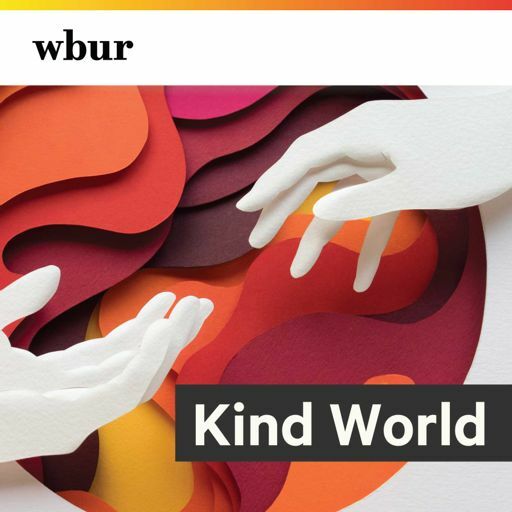 Here's a downloadable Kind World playlist that will put you in the mood to give thanks. Sasha Chanoff was in his mid-20s when he faced an urgent decision unlike any he'd encountered before - and more than 100 lives depended on it. Sister Sue Kintzele's phone number is written on the wall near the pay phone at the county jail. When prisoners can't make bail, they tell their family to call Sister Sue.